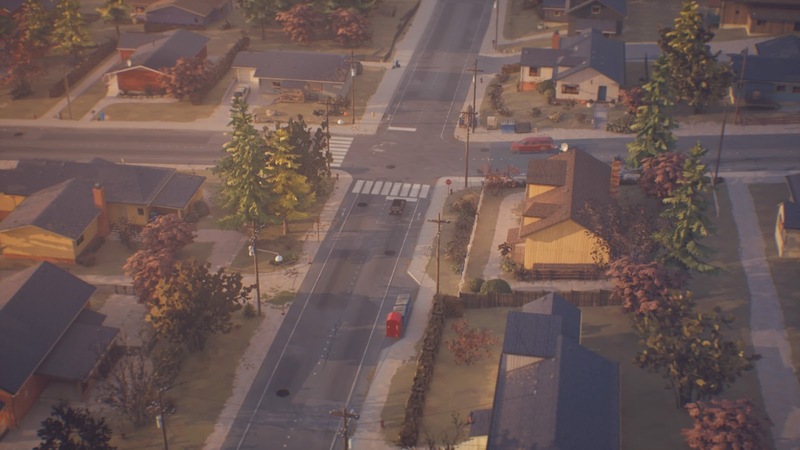 I've been waiting for this game to come out for months and I was finally able to play the first episode after I had pre-ordered it with my birthday money, the first episode came out last month and it didn't disappoint me at all. 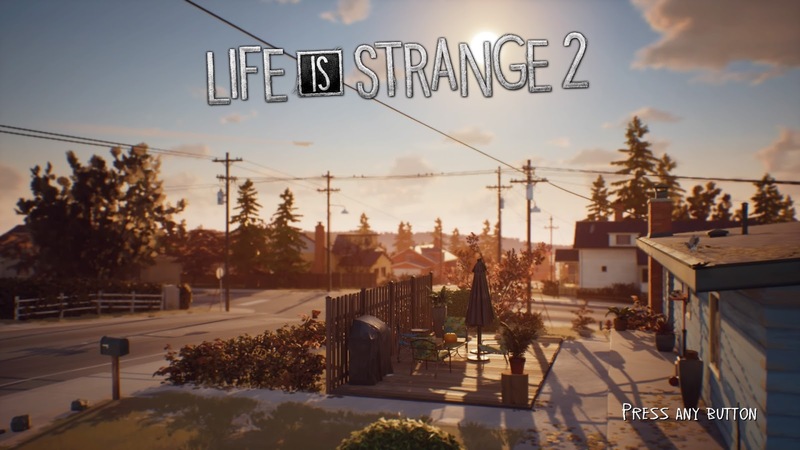 It's still not the same without Max and Chloe but I'm so hyped to see where Daniel and Sean's journey takes us, as you know I have done a post for every single Life is Strange game so I couldn't miss out on doing the same for Life is Strange 2, could I? The game starts off introducing us to two brothers and their father and the older sons best mate, their mother has been gone a while so it's their dad's job to provide for both of his sons, from the looks of family life he has done everything in his power to make sure his boys don't miss out and works hard to make ends meet and the dad is kind of cute.for those who have played this first episode read on, but those who don't want it spoiled don't read the post! 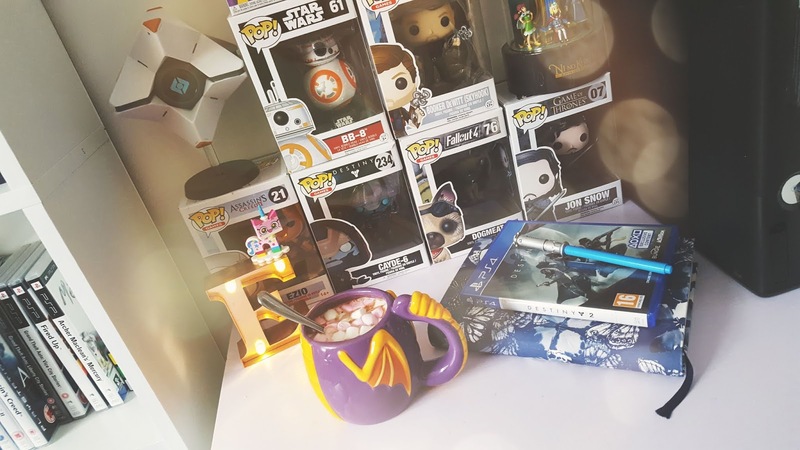 Sean is getting ready to go to a party and has invited his crush, he has the typical teenage jitters and his best mate encourages him to be a little braver, not so simple for a shy teenage boy though! 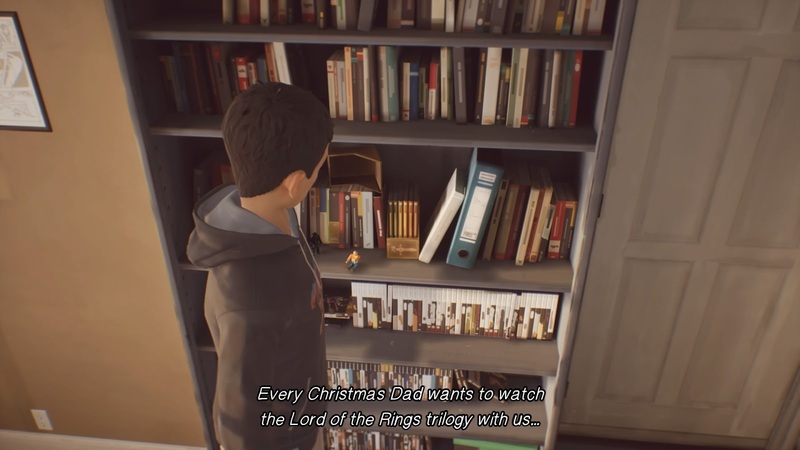 One main thing I found about the family is that they love Lord of The Rings and the first episode was filled with a lot of references to it which made me smile a lot, I felt it gave them much more depth and character and showed what they enjoyed as a family unit which is important when it comes to telling any kind of story based around a family and tragedy. They don't live in the best-looking home is a very small bungalow with 3 decent sized bedrooms but they live next door to a total jerk who is dead set on winding the two brothers up. This neighbour was the main reason why tragedy struck, his anger lead to Sean having to protect his brother Daniel which a police officer saw and took it upon himself to try and break things up, unfortunately, the neighbour ended up hitting his head on a rock and fitting and as the dad tries to cool things down the officer ends up shooting him. There are many different ways of looking at this such as a police officer being racist and thinking that Sean is attacking the neighbour when in fact he was just trying to protect his brother or he could just be doing his civic duty and trying to break it up, the gun implies he was scared and I feel like there was no need for the police officer to draw his gun. 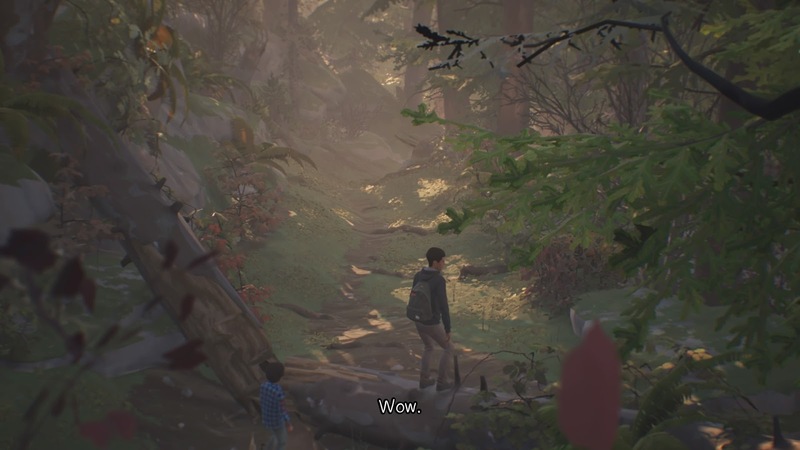 What we soon learn at this moment is that Daniel has superpowers, now I was a bit worried that this LIS2 wouldn't have this kind of element to it and that it would be based on something else but as soon as I saw that he had powers I shouted out YESS as sad as that sounds I was excited. 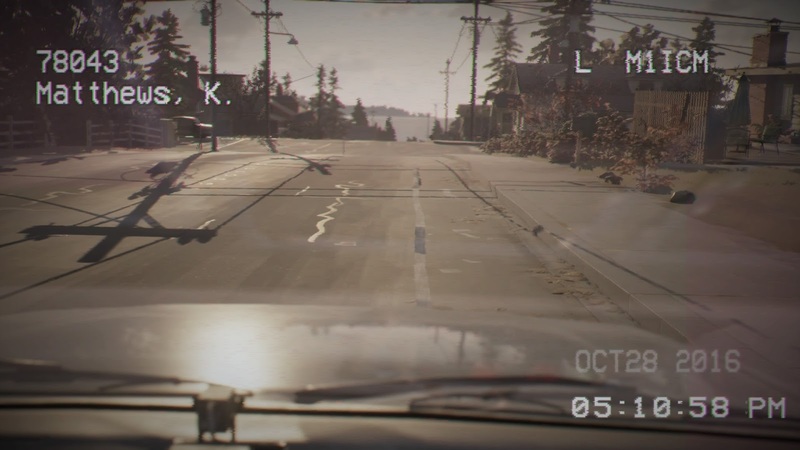 It kind of reminded me of Stranger Things due to what his powers are (he can lift things and push them away and basically cause destruction) although in episode one we don't get to see the full extent of his powers, this episode felt like a slow build up to what else he is capable of and I'm looking forward to seeing where this story will take us! 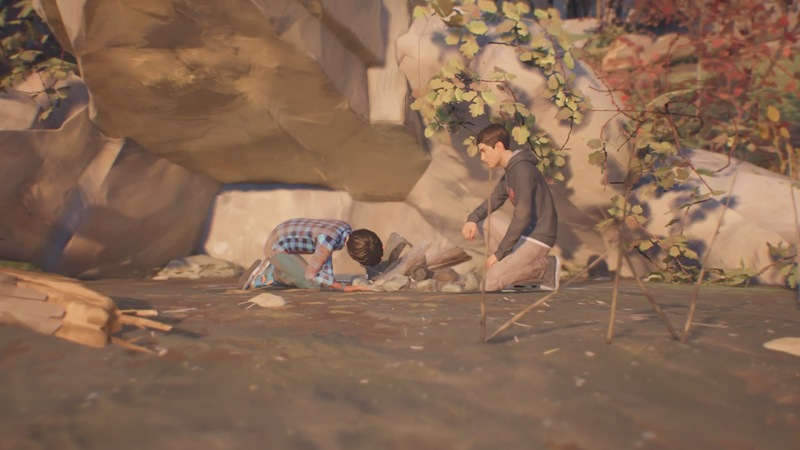 Even though Daniel used his powers he is unaware of this and seems to faint or pass out so his brother takes charge and carries him away from the scene of the crime and they go on the road together but Daniel is unaware of this as he thinks they have just gone on a camping trip without their dad. 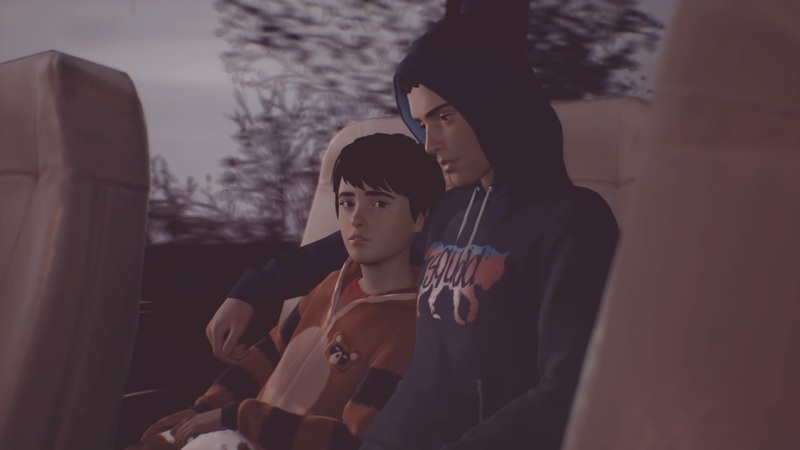 What I like about the way the story flows is that Sean is only trying to protect his brother and is happy to take all the blame for what has happened just so long as no harm comes to Daniel that kind of relationship makes you realise that he just wants what is best for his little brother and if it means going on the run and stealing food and supplies along the way he will do it. Obviously, people have been trying to get in touch with him via his phone and the only person he is willing to speak to is his best mate but even when he tries not to give too much away as he doesn't want her dragged into it. 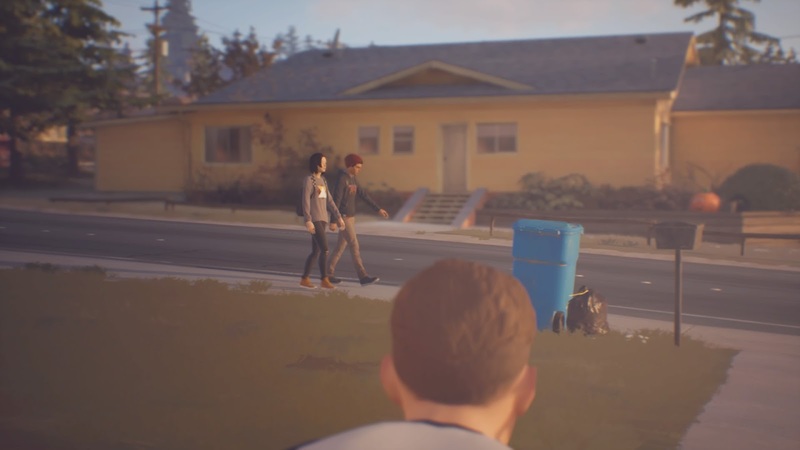 There is one main thing I want to mention and that is at the start of the game you're asked if you saved arcadia bay or sacrificed it, my first run through of the game I chose to save it so I gave that answer, I'm wondering if the two brothers end up in Arcadia Bay at some point and if part of our choices are decided with that one question at the start so we will see where it takes us. Now back to the story, whilst the boys are on the run they find a campsite and choose to spend the night there, earlier on in the game we filled Sean's bag up with food and drink to take to the party but unfortunately the stuff I chose was only crisps and beer which isn't really going to keep them going, I sat thinking about how I should have maybe picked fizzy drink instead of beer because at least that way Daniel had something to drink either, the game has a great way of making you think about your past choices and how you could have accommodated better for the boys. 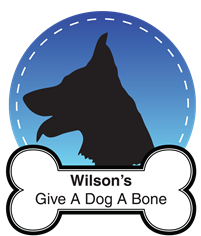 Once the two leave the campsite they come across a petrol station which stocks food, drink and camping gear and is also trying to find a loving home for the most adorable little puppy, they don't have enough money to pay for everything so shoplift and when outside one of the owners demand they prove they paid for all of the food and drink they have, this is where I told Daniel to run and Sean was captured, when he wakes up he has to find his way out of the office is in with the help of Daniel. Once they escaped a guy they met inside the petrol station offers to help them and drive them as far as he is going and they accept, not going to lie but I was worried for them as he was a stranger but I was pleasantly surprised by how kind this man was, he listened to their problems and gives them money, supplies and books them a room to stay in as well as leaving them a wonderful note, funny how someone so random can understand and listen but society will deem Sean as the bad guy! The boys make themselves comfy in their room along with the puppy which Daniel took whilst they were trying to get away from the petrol station owner and Daniel finds out the truth about his dad on the news, he ends up going into full rage mode lifting things up around him and making them spin around him, Sean knows exactly how to calm him down and explains why he lied and how he had to protect him, Daniel listens and the next day the boys leave onto the next leg of their journey. 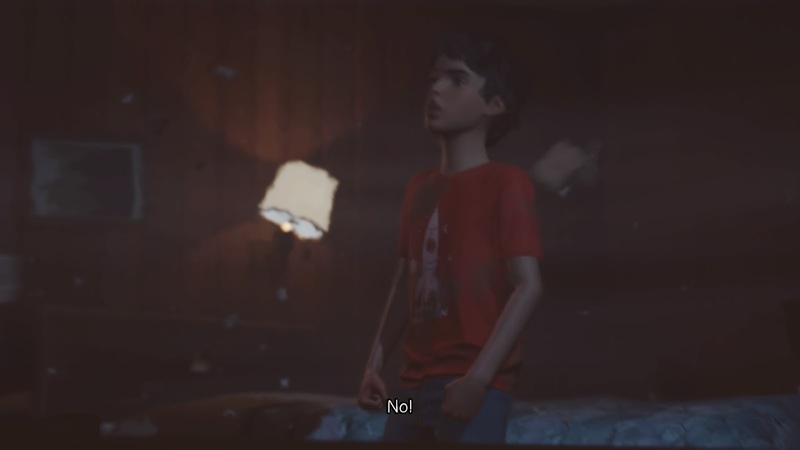 Daniel's powers are already pretty strong from the start of the story and at the end of episode one, what worried me most about his powers is what kind of effect they would be happening on his body, we all saw how Max's powers affected her in LIS1. 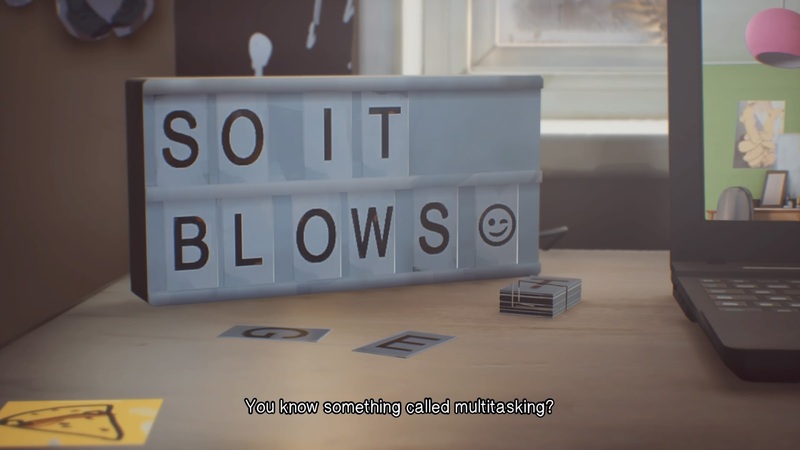 I felt that LIS2 is completely different to the first, just by changing the characters they have made it into a brand new game with lots more content to come, I usually try to predict the outcome of games but LIS2 is pretty hard to call as there is so much more I need to be answered and hopefully the next 4 episodes will provide them but in bits. 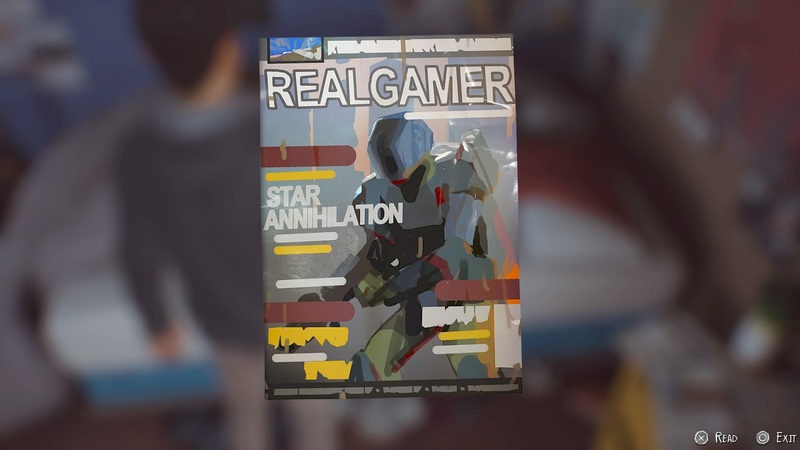 Overall I give this episode 5/5, it's definitely a game that I could play over and over again.